"WHY CRUISE? Easy, convenient way to travel. Unpack once and experience the best of the region you are visiting in one cruise vacation. There is nothing easier than simply waking up in the morning in the world's most exciting and interesting cities. For example, on our 12-day Grand Mediterranean voyage you will visit 9 ports of call including Barcelona, Istanbul, Athens, Rome, Venice and more." "Why Book a Rental Car with Auto Europe? Always a Smooth Rental Experience. At Auto Europe we understand that a trip to Europe is an opportunity to create a lifetime of memories and the last thing you want is to have those memories interrupted by trouble with your rental car. This is why everything we do-from the way we train our customer service agents, to the care we take when selecting the car rental companies we work with-is designed to ensure that when you book your car with Auto Europe your trip will be smooth, enjoyable and hassle free. For over 60 years Auto Europe has been going above and beyond for our clients. Our commitment to transparency and service has made Auto Europe a trusted name and European travel industry leader. No matter where your journey takes you, Auto Europe and our partners can help get you there. With over 20,000 convenient pick-up locations situated throughout the world, we are your best choice for car rentals in Europe and worldwide." "MSC Cruises, part of the MSC Group is the Swiss-based, world’s largest privately-owned cruise line and brand market leader in Europe, South America and South Africa, sailing year-round in the Mediterranean and the Caribbean. Seasonal itineraries cover northern Europe, the Atlantic Ocean, Cuba and the French Antilles, South America, southern Africa, China and Abu Dhabi, Dubai and Oman. The MSC Cruise experience embodies the elegant side of the Mediterranean to create unique and unforgettable emotions for guests, through discovery of the world’s cultures, beauties and tastes. Its fleet comprises 14 of the most modern ships at sea: MSC Preziosa; MSC Divina; MSC Splendida; MSC Fantasia; MSC Magnifica; MSC Poesia; MSC Orchestra; MSC Musica; MSC Sinfonia; MSC Armonia; MSC Opera, MSC Lirica, MSC Meraviglia and MSC Seaside." "The Tenerife airport disaster was a fatal runway collision between two Boeing 747s on Sunday, March 27, 1977, at Los Rodeos Airport (now Tenerife North Airport) on the Spanish island of Tenerife, one of the Canary Islands. The crash killed 583 people, making it the deadliest accident in aviation history. As a result of the complex interaction of organizational influences, environmental preconditions, and unsafe acts leading up to this aircraft mishap, the disaster at Tenerife has served as a textbook example for reviewing the processes and frameworks used in aviation mishap investigations and accident prevention. A bomb explosion at Gran Canaria Airport, and the threat of a second bomb, caused many aircraft to be diverted to Los Rodeos Airport. 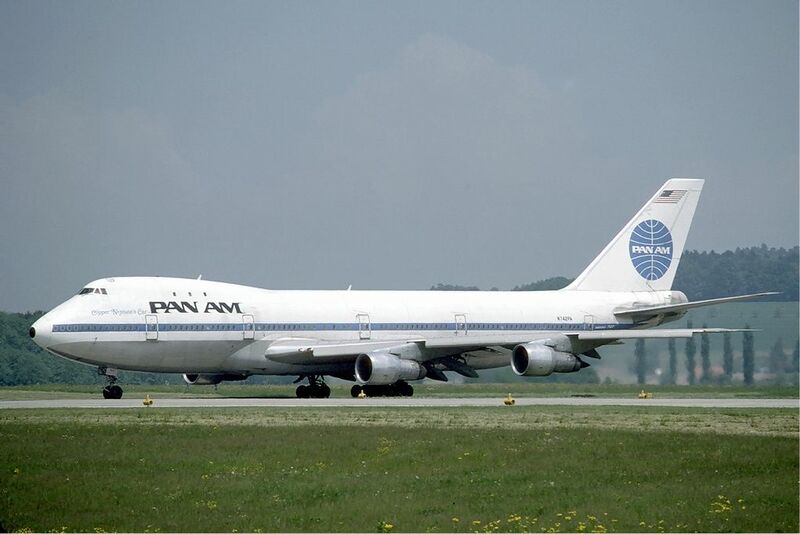 Among them were KLM Flight 4805 and Pan Am Flight 1736 – the two aircraft involved in the accident. At Los Rodeos Airport, air traffic controllers were forced to park many of the airplanes on the taxiway, thereby blocking it. Further complicating the situation, while authorities waited to reopen Gran Canaria, a dense fog developed at Tenerife, greatly reducing visibility. When Gran Canaria reopened, the parked aircraft blocking the taxiway at Tenerife required both of the 747s to taxi on the only runway in order to get in position for takeoff. The fog was so thick that neither aircraft could see the other, and the controller in the tower could not see the runway or the two 747s on it. As the airport did not have ground radar, the controller could find where each airplane was only by voice reports over the radio. 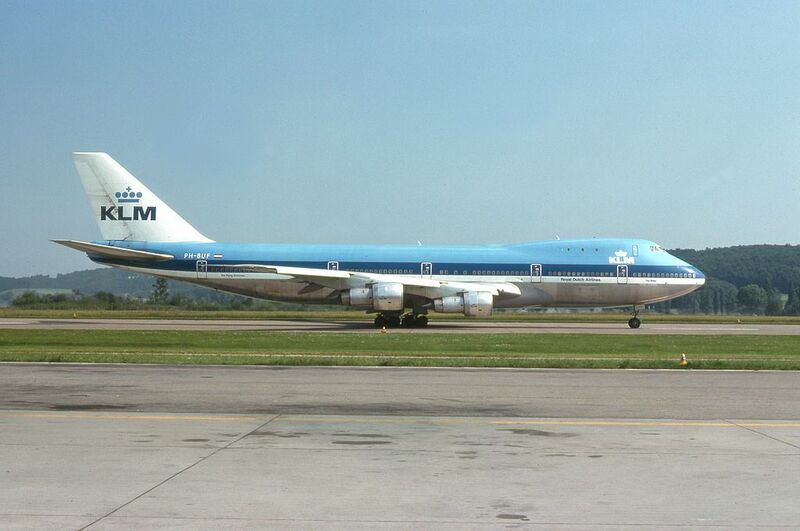 As a result of several misunderstandings, the KLM flight tried to take off while the Pan Am flight was still on the runway. The resulting collision destroyed both aircraft, killing all 248 aboard the KLM flight and 335 of 396 aboard the Pan Am flight. Sixty-one people aboard the Pan Am flight, including the pilots and flight engineer, survived the disaster. Pan Am Flight 1736 had originated at Los Angeles International Airport, with an intermediate stop at New York's John F. Kennedy International Airport. The aircraft was a Boeing 747-121, registration N736PA, named Clipper Victor. Of the 380 passengers (mostly of retirement age, but including two children), 14 had boarded in New York, where the crew was also changed. The new crew consisted of CaptainVictor Grubbs, first officer Robert Bragg, and flight engineer George Warns; there were 13 other crew members. This aircraft had operated the inaugural 747 commercial flight on January 22, 1970. KLM Flight 4805, a charter flight for Holland International Travel Group, had arrived from Amsterdam Airport Schiphol, the Netherlands. Its captain was Jacob Veldhuyzen van Zanten, KLM's chief flying instructor. The first officer was Klaas Meurs and the flight engineer was Willem Schreuder. The aircraft was a Boeing 747-206B, registration PH-BUF, named Rijn (Rhine). The KLM jet had 14 crew members and 235 passengers, including 52 children. Most of the KLM passengers were Dutch; four Germans, two Austrians and two Americans were also on the plane. After the aircraft landed at Tenerife, the passengers were transported to the airport terminal. One of the inbound passengers, who lived on the island, chose not to re-board the 747, leaving 234 passengers on board. Fifty-two of the passengers were children who were with their families." "February 16–Nepal Airlines Flight 183, a de Havilland Canada DHC-6, crashes near Khidim about 74 kilometres southwest of Pokhara, Nepal, killing all 18 people on board. February 17–Ethiopian Airlines Flight 702, a Boeing 767, is hijacked by the co-pilot while en route from Addis Ababa, Ethiopia, to Rome, Italy, but lands safely at Geneva, Switzerland. All 202 passengers and crew aboard are unharmed. 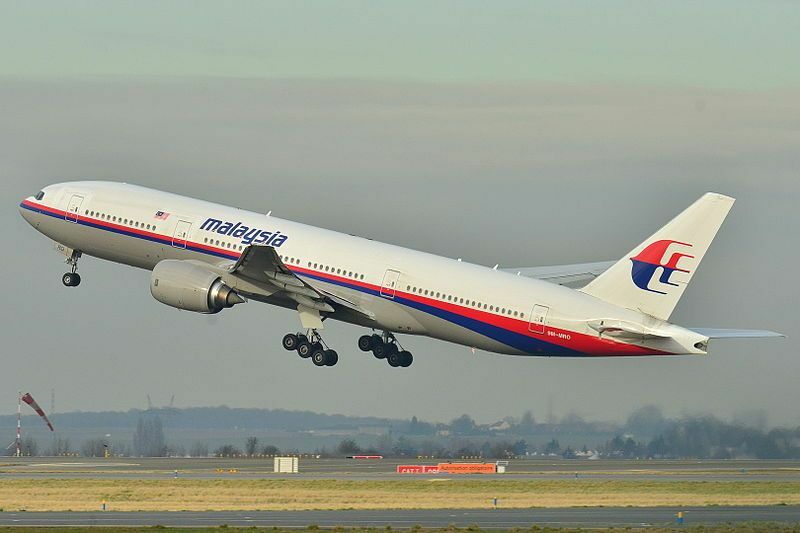 March 8–Malaysia Airlines Flight 370, a Boeing 777 en route from Kuala Lumpur to Beijing with 227 passengers and 12 crew on board, disappears from radar over the Gulf of Thailand. A Wing part has been found in Réunion. 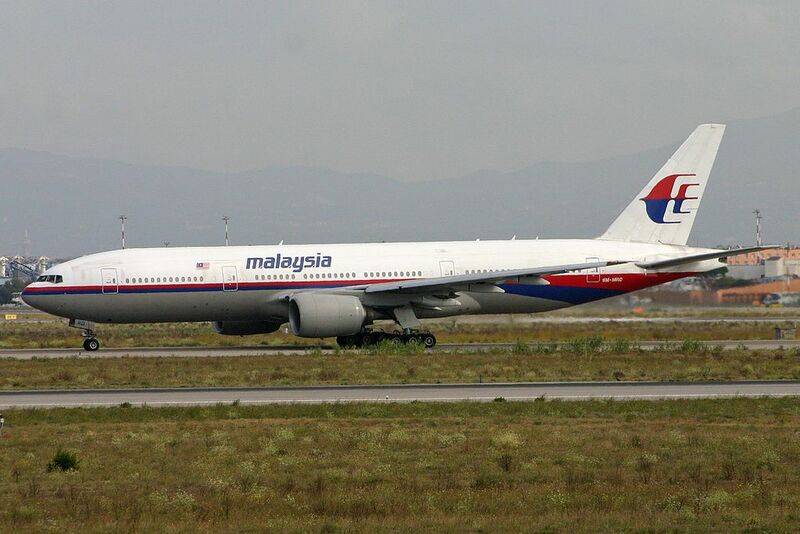 July 17–Malaysia Airlines Flight 17, a Boeing 777 en route from Amsterdam to Kuala Lumpur, is shot down over eastern Ukraine, killing all 283 passengers and 15 crew on board in the deadliest civilian airliner shootdown incident. July 23–TransAsia Airways Flight 222, an ATR-72 en route from Kaohsiung to Penghu, Taiwan, crashes during go-around, killing 48 of the 58 people on board. July 24–Air Algérie Flight 5017, a chartered Swiftair McDonnell Douglas MD-83 operating for Air Algérie en route from Burkina Faso to Algiers, crashes in the northern Mali desert after disappearing from radar approximately 50 minutes after takeoff, killing all 110 passengers and 6 crew members on board. 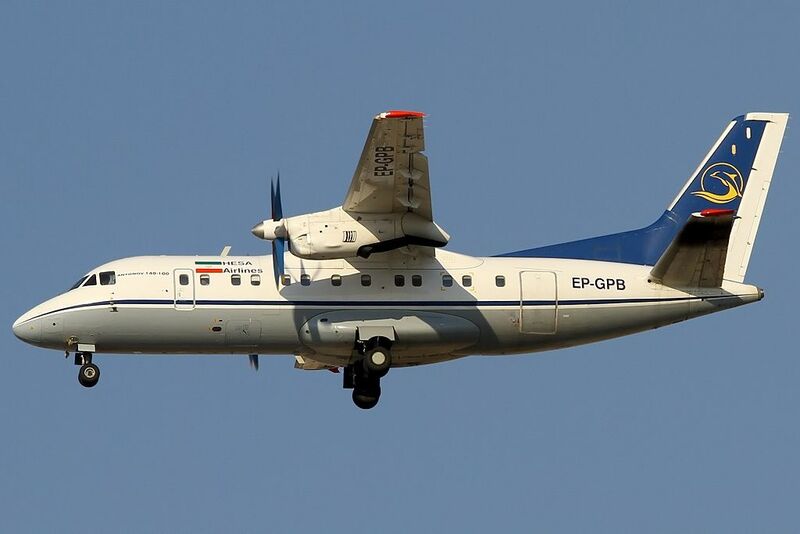 August 10–Sepahan Airlines Flight 5915, a HESA IrAn-140 (an Antonov An-140 built under license) crashes shortly after takeoff from Mehrabad International Airport, Iran, killing 39 of the 48 people on board. December 28–Indonesia AirAsia Flight 8501, an Airbus A320 en route from Surabaya, Indonesia to Singapore, crashes into waters off Borneo, killing all 155 passengers and 7 crew on board." "February 4–TransAsia Airways Flight 235, an ATR-72, crashes into the Keelung River in Taiwan after striking the Huandong Viaduct and a passing taxi. 43 of the 58 passengers and crew on board are killed. March 5-Delta Air Lines Flight 1086, a McDonnell Douglas MD-88 skids off the runway at LaGuardia Airport and crashes into a fence, coming inches from Flushing Bay. No one is killed but more than a dozen people are injured. March 24-Germanwings Flight 9525, an Airbus A320, crashes in southern France en route from Barcelona, Spain to Düsseldorf, Germany. All 144 passengers and 6 crew on board the aircraft died in the crash. March 29-Air Canada Flight 624, an Airbus A320, touches down short of the runway and hits power lines while landing at Halifax Stanfield International Airport, after arriving from Toronto. All 138 passengers and crew on board survive, with 23 treated for minor injures. April 14-Asiana Airlines Flight 162, an Airbus A320, touches down short of the runway and hits a localizer while landing at Hiroshima Airport, after arriving from Seoul. All 82 passengers and crew on board survive, but 27 are injured. April 25-Turkish Airlines Flight 1878, an Airbus A320, is severely damaged in a landing accident at Atatürk International Airport. The aircraft aborted the first hard landing, which inflicted engine damage and caused the gear to penetrate the wing. As it came around for a 2nd attempt, witnesses reported one of the engines on fire. On the 2nd attempt at landing, the right gear collapsed and the aircraft rolled off the runway, spinning 180 degrees. All 102 passengers and crew on board are evacuated without injury. August 16-Trigana Air Service Flight 267, an ATR-42, lost contact with air traffic controllers en route from Sentani Airport, to Oskibil Airport. Its wreckage was found by villagers in the Bintang highlands region of Oksibil." October 31-Kogalymavia Flight 9268 (7K9268/KGL9268) was an international chartered passenger flight, operated by Russian airline Kogalymavia which crashed in northern Sinai on 31 October 2015, 06:13 EST following departure from Sharm el-Sheikh International Airport, Egypt, en route to Pulkovo Airport. The aircraft, an Airbus A321-231, was carrying 217 passengers and seven crew members. With its death toll of 224 people, the crash of Flight 9268 is the deadliest both in the history of Russian aviation and within Egyptian territory. It is also the deadliest air crash involving an aircraft from the Airbus A320 family, and the deadliest plane crash of 2015." "Flydubai Flight 981 was a scheduled international passenger flight from Dubai, the United Arab Emirates, to Rostov-on-Don, Russia. On 19 March 2016, the Boeing 737-800 made two unsuccessful landing attempts at Rostov-on-Don Airport in inclement weather. After aborting its second approach, the aircraft climbed to 4,000 feet then descended rapidly and crashed by the runway. All 62 people on board the aircraft were killed in the high-speed impact. "Egypt Air Flight 804 was an international passenger flight from Paris Charles de Gaulle Airport to Cairo International Airport, operated by EgyptAir, that went missing over the Mediterranean Sea on 19 May 2016 at 02:30 Egypt Standard Time. There were 66 people on board: 56 passengers, 7 aircrew and 3 security personnel. It is currently unknown if any of them survived. 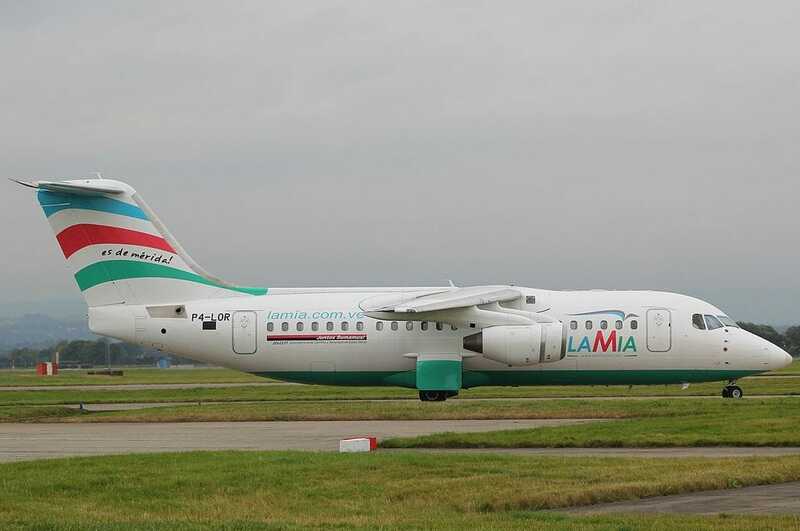 "LaMia Flight 2933 (LMI2933) was a charter flight of an Avro RJ85, operated by LaMia, that crashed in Colombia shortly after 22:00 local time on 28 November 2016, killing 71 of the 77 people on board. Pakistan International Airlines Flight 661 (PK661/PIA661) was a domestic passenger flight from Chitral to Islamabad that crashed near Havelian on 7 December 2016. 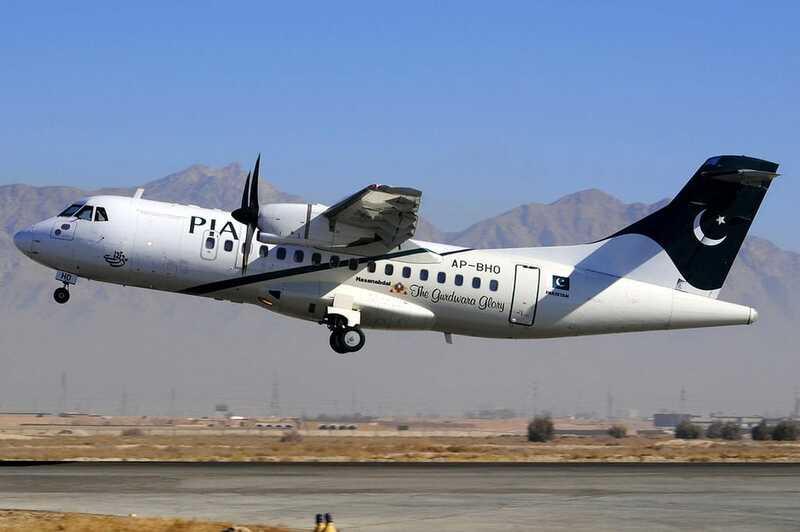 There were forty-two passengers including two sky marshals and one aircraft engineer and five crew aboard the aircraft, an ATR 42-500 operated by Pakistan International Airlines. All 47 people on board died, including singer-turned-preacher and entrepreneur Junaid Jamshed, and the Deputy Commissioner of the District of Chitral. On 25 December 2016, a Russian Defence Ministry Tupolev Tu-154, tail number RA-85572, crashed during a flight from Sochi International Airport, Russia, to Khmeimim, Syria. All 92 people on board were killed." ﻿"Air Algérie Flight 5017 was a scheduled international passenger flight from Ouagadougou, Burkina Faso, to Algiers, Algeria, which crashed in Mali, near the town of Gossi, on 24 July 2014. The McDonnell Douglas MD-83 with 110 passengers and 6 crew on board, operated by Swiftair, disappeared from radar 50 minutes after take-off. The aircraft had been chartered by Air Algérie to provide additional capacity for the summer season. On 25 July 2014, the French President, François Hollande, said that there were no survivors. This event marked the third major aviation disaster involving a commercial airliner in a one-week span, following the shooting down of Malaysia Airlines Flight 17 on 17 July and crash of TransAsia Airways Flight 222 on 23 July. 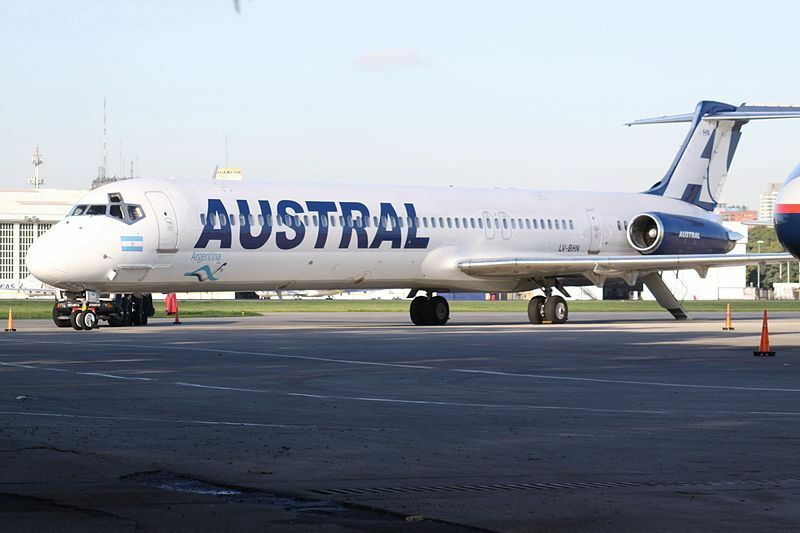 The aircraft involved was a McDonnell Douglas MD-83. On 13 February 1998, it was registered HK-4173X with Avianca, returning to the registration N190AN on 17 August 2000. The flight departed from Ouagadougou Airport at 1:07 a.m. local time (UTC) on 24 July 2014. It was scheduled to land at Houari Boumediene Airport, Algiers at 5:10 a.m. Air Algérie lost contact with the flight at 1:55 a.m. almost fifty minutes after it took off from Ouagadougou bound for Algiers. French transport minister Frédéric Cuvillier said that the plane disappeared over northern Mali. As of 09:56 (UTC) on 24 July, Air Algérie had commenced a search for the aircraft. According to a French army spokesman, two French fighter jets joined the search for the missing plane along its probable route. The aircraft was a McDonnell Douglas MD-83, registration EC-LTV, leased from Swiftair, with 110 passengers and six crew members on board. A local official in Gossi, reporting that a group of herders near the village of Hamni-Ganda witnessed the plane on fire as it fell before it crashed, believes that the plane was struck by lightning." "Sepahan Airlines Flight 5915 was a scheduled domestic passenger flight from Tehran, Iran to Tabas that crashed on 10 August 2014, with 40 passengers and 8 crew on board. The HESA IrAn-140 crashed into a residential area of Azadi town shortly after take-off from Mehrabad International Airport. The Independent has reported that nine people survived the crash. ABC News also claimed that 38 people were killed instantly, while 10 passengers were rushed to the hospital after sustaining injuries. The aircraft crashed into a residential block on Mina 6 Boulevard in Tehran at 9:18 local time. A fire erupted. IRNA, the Iranian state news agency, suggested that the aircraft suffered an engine failure. The cause was thought to be an engine failure. Fars News Agency quoted Mohammad Ilkhani, the head of Iran Airports Company, as saying, "Failure in one of the plane's engines caused the plane to crash on the northern side of the Tehran-Karaj highway." The pilot turned back as soon as 4 minutes after takeoff after noticing technical difficulties, but was unable to bring the plane to a safe landing and crashed. Iranian airliners have been forced to use the "refurbished" plane parts to keep the plane flying. US sanctions prevent Iranian airliners using updating its American aircrafts and European sanctions prevent it from using European aircrafts and spare parts. There were forty passengers and a crew of eight. Of the forty passengers, 34 were adults and 6 were children." "Indonesia Air Asia Flight 8501 is an Indonesia Air Asia Airbus A320-216 flight that went missing en route to Singapore from Surabaya, Indonesia on 28 December 2014 with 155 passengers and 7 crew on board. 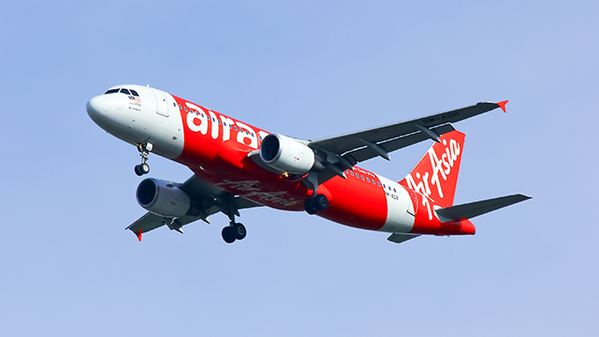 Indonesia Air Asia is an affiliate of Malaysian low-cost airline Air Asia. The flight took off from Juanda International Airport, Surabaya, at 05:35 Western Indonesian and was scheduled to land at Singapore Changi Airport at 08:30 Singapore Standard Time. The plane had been under Indonesian air traffic ﻿﻿control when it requested deviation from its original flight path because of poor weather conditions. The pilot had requested to climb to 38,000 feet to avoid thick clouds, although the final altitude indicated by the transponder and collected by Flight radar 24 was 32,000 ft. The plane lost contact with air traffic control at 06:17 WIB while travelling near Belitung island, over the Java Sea between Kalimantan and Java, still under Indonesian air traffic control, at normal cruising altitude and speed. A meteorological analysis revealed that the aircraft was traversing a storm cluster during the minutes prior to its disappearance. The Indonesian Transport Ministry reported that no distress signal was sent from the missing aircraft. Air Asia released the nationalities of the 162 passengers and crew which include 144 adults, 17 children and one infant. The cabin crew consisted of four flight attendants. Additionally, Air Asia had an engineer as part of the aircrew onboard." "TransAsia Airways Flight 235 was a domestic flight that crashed into the Keelung River on 4 February 2015, shortly after takeoff from Taipei Songshan Airport, 3.4 mi to the west. 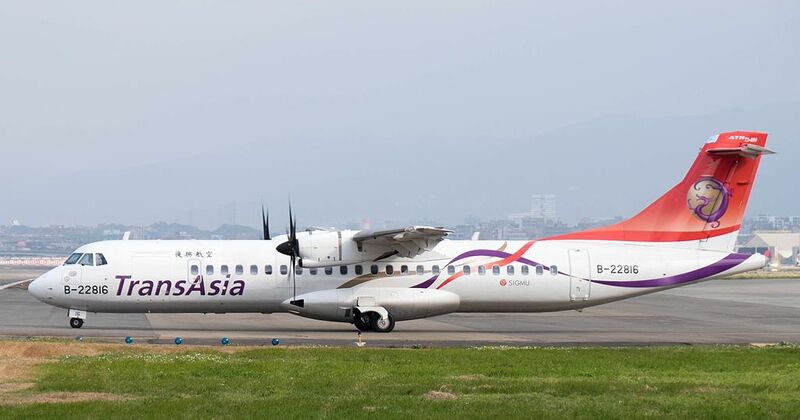 The TransAsia Airways flight, operated with a ten-month-old ATR 72-600 aircraft, was flying from Taipei to Kinmen a Taiwanese island off the coast of mainland Fujian, with 53 passengers and five crew on board. There were 15 survivors. Two minutes after takeoff, the pilots reported an engine flameout. Flight 235 climbed to a maximum height of 1,050 feet then descended. Immediately before impacting the river, it banked sharply left and clipped a taxi traveling west on the Huandong Viaduct, then the viaduct itself, with its left wing. Flight 235 is the second fatal accident involving a TransAsia Airways ATR aircraft within the last seven months. Flight 222 crashed on 23 July 2014, killing 48 of the 58 on board. Flight 235 departed Taipei Songshan Airport at 10:52 a.m. Taiwan time for its destination of Kinmen Airport, with 53 passengers and five crew members on board. It climbed to an altitude of 1,050 feet and then began descending until it crashed. The last pilot communication to air traffic control was: "Mayday, mayday, engine flameout." At 10:54, the aircraft crashed into the Keelung River, on the border of Nangang District of Taipei and Xizhi District of New Taipei. The crash was recorded by the dashcams in several cars traveling west along the elevated Huandong Viaduct next to the river. The aircraft, flying level, first cleared an apartment building. Then it rolled sharply, at nearly a 90-degree bank angle, left wing down. As the aircraft flew low over the elevated viaduct, its left wingtip struck the front of a taxi traveling west on the viaduct, and the outboard section of the wing was torn off when it struck the concrete guardrail at the edge of the viaduct. The aircraft continued its roll and impacted the water upside down, breaking into two main pieces. Two people in the taxi were injured. At the time of the accident, no adverse weather phenomena were observed. At 11:00 a.m., the cloud base at Songshan was about 1,500 feet, the visibility was unlimited, and the wind was blowing at 10 knots; 12 mph from the east (a light breeze). The temperature was 16 °C (61 °F). 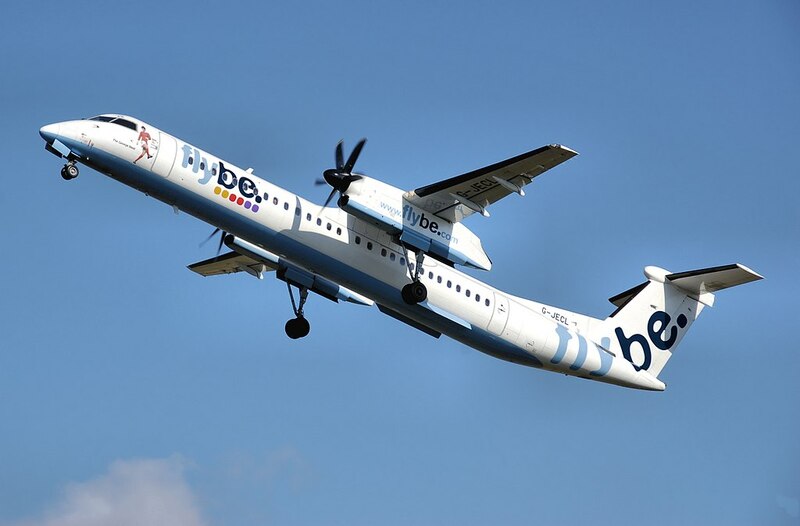 The aircraft involved in the accident was an ATR 72-600 twin turboprop, registration B-22816, MSN 1141. 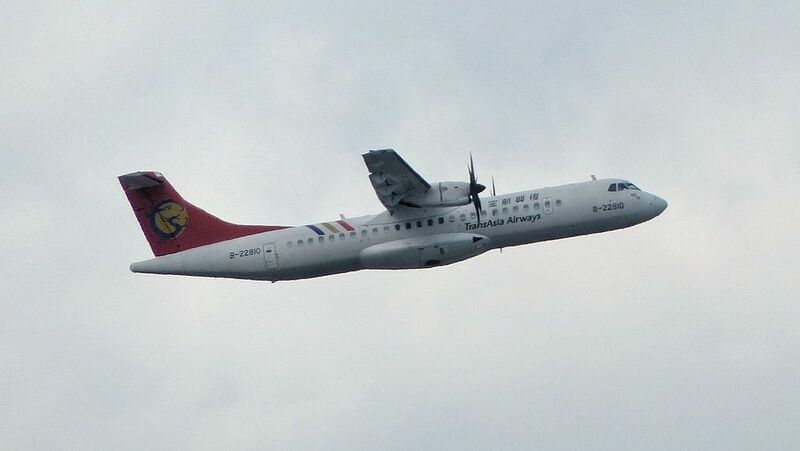 It first flew on 28 March 2014, and was delivered to TransAsia Airways on 15 April 2014. Both Pratt & Whitney Canada PW127M engines were replaced due to technical issues on 19 April 2014. The passengers comprised 49 adults and four children. Thirty-one passengers were mainland Chinese; many were visitors from Xiamen on a six-day tour of Taiwan. The remaining 22 passengers were Taiwanese. The all-Taiwanese crew consisted of two pilots, two flight attendants, and one observer, Hong Bing-chung, who had a total of 16,121 flying hours, and was seated in the cockpit jump seat. An unnamed source was reported to have claimed that the captain, Liao Chien-tsung, had complained of "engine abnormalities" and requested an urgent inspection of the plane shortly before its final take-off, but had been rebuffed." "Germanwings Flight 9525 was a scheduled international passenger flight from Barcelona to Düsseldorf, operated by Lufthansa-owned low-cost airline Germanwings. On 24 March 2015, the aircraft serving that flight, an Airbus A320-211, crashed in the area around the remote commune of Prads-Haute-Bléone, which is located between the communes of Digne-les-Bains and Barcelonnette, around 62 miles northwest of Nice. All 144 passengers and six crew were killed. It is the third-deadliest crash of an Airbus A320 and the third-deadliest aviation disaster on French soil. The aircraft involved was an Airbus A320-200, serial number 147, registered as D-AIPX. Its first flight was on 29 November 1990, and it was delivered to Lufthansa on 5 February 1991. It served with Germanwings for the first time in 2003. It was returned to Lufthansa in 2004 and was re-transferred to the relaunched Germanwings on 31 January 2014. The aircraft had accumulated about 58,300 flight hours on 46,700 flights. The cockpit voice recorder, one of the two black boxes, was found on the day of the crash. It was handed to French authorities for analysis." To date, "1,095" have died in all of the above air disasters according to the CBS Evening News. "Trigana Air Service Flight 267 was a scheduled 45-min passenger flight by Indonesian domestic airline Trigana Air Service from Sentani to Oksibil. On 16 August 2015, the aircraft crashed about 30 minutes after takeoff. Its wreckage was found by villagers in the Bintang highlands region of Oksibil. On board were 49 passengers (including five young children) and five crew members. It was not immediately clear whether there were any survivors. A search for survivors was suspended due to poor light. If there are no survivors, the crash would rank as the deadliest involving the ATR 42 and the third deadliest in the last 8 months in Indonesia, after Indonesia Air Asia Flight 8501 and an Indonesian Air Force Lockheed C-130 Hercules. 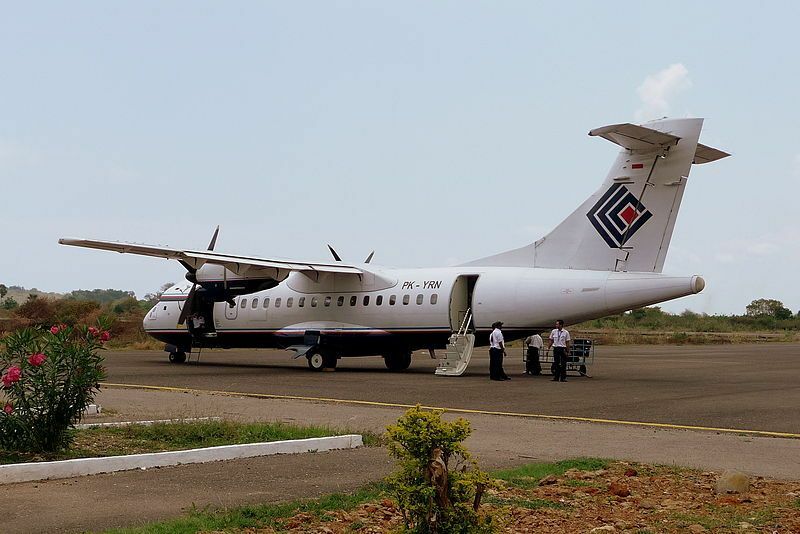 The 27-year-old ATR-42 turboprop aircraft, originally owned by Resort Air andTrans States Airlines as N421TE, previously was involved in several minor incidents, including a wheel separation incident, before being transferred to Trigana in 2005. Aircraft operated by Trigana Air have been involved in 14 serious incidents, 10 of which resulted in hull loss. All but four airlines under the supervision of Indonesian authorities, including Trigana Air, have been on the European Union blacklist of banned carriers since 2007. The Trigana Air Service flight took off from Sentani Airport in Jayapura at 2:22 p.m. local time and was scheduled to land in Oksibil at about 3:16 p.m. Contact was lost with the aircraft at about 2:55 p.m. There was no indication that a distress call was made from the plane. At 3:30 pm, the National Search and Rescue Agency deployed a search aircraft to find the missing aircraft. However, the search was suspended because of foggy weather and was scheduled to resume on 17 August. Local residents reported that they saw the plane crash into the mountain side in Okbape district of Pegunungan Bintang Municipality in Papua. Stormy weather was cited as a possible cause of the crash." "Kogalymavia Flight 9268 was an international chartered passenger flight, operated by Russian airline Kogalymavia which crashed in northern Sinai on 31 October 2015 at 06:13 EST following departure from Sharm el-Sheikh International Airport, Egypt, en route to Pulkovo Airport, Saint Petersburg, Russia. The aircraft, an Airbus A321-231, was carrying 217 passengers and seven crew members. Of those aboard, mostly tourists, there were 219 Russian, four Ukrainian, and one Belarusian. With its death toll of 224 people, the crash of Flight 9268 is the deadliest both in the history of Russian aviation and within Egyptian territory. It is also the deadliest air crash involving an aircraft from the Airbus A320 family, and the deadliest plane crash of 2015. Shortly after the crash, the Islamic State of Iraq and the Levant's Sinai Branch claimed responsibility for the incident, which occurred in the vicinity of the Sinai insurgency. Flight 9268 left Sharm el-Sheikh airport at 05:50 EST for Pulkovo Airport in Saint Petersburg, Russia, with 217 passengers and seven crew members on board. The aircraft failed to make contact with Cyprus Air Traffic Control 23 minutes later. Russia's Federal Air Transport Agency confirmed the flight had disappeared from radar tracking. There was initial confusion about whether the plane had come down. An Islamic State group in Egypt said that it brought down the plane. Shortly after the aircraft's disappearance, Euro control issued a notice to all operators along the route that because of technical problems all flights would be tactically re-routed. The notice was redacted shortly thereafter. Unnamed Egyptian authorities indicated that the first parts of the wreckage had been located. Fifty ambulances were sent to the crash site near Housna, 190 mi from Sharm el-Sheikh. Unnamed Egyptian officials reported that the aircraft "split in two" and most bodies were found strapped to their seats. Initial reports indicated that voices of trapped passengers could be heard in a section of the crashed aircraft. At least 100 bodies were initially found, including at least five children. Flight 9268 was carrying a total of 224 people, consisting of 217 passengers (including 25 children) and seven crew members. Most of the passengers were Russian, according to the Russian embassy, and a majority were female. There were also four Ukrainians and one Belarusian on board. Most of the passengers were tourists returning from Red Sea resorts. The Association of Tour Operators of Russia released the passenger manifest of all those thought to have been on the flight. The majority of the passengers were from Northwest Russia, including Saint Petersburg and the surrounding Leningrad, Novgorod and Pskov oblasts. According to Kogalymavia, the flight's captain, Valery Yurievich Nemov, had over 12,000 hours of flight time, including 3,800 hours on this aircraft type. The first officer was Sergei Trukachev. Among the passengers were Russian model Yelena Domashnyaya. Yelena was having a vacation in Sharm-el-Sheikh with her colleague Kseniya Ogorodova." "Flydubai Flight 981 was a scheduled international passenger flight from Dubai, the United Arab Emirates, to Rostov-on-Don, Russia. On 19 March 2016, the Boeing 737-800 made two unsuccessful landing attempts at Rostov-on-Don Airport in inclement weather. After aborting its second approach, the aircraft climbed to 4,000 feet then descended rapidly and crashed by the runway. All 62 people on board the aircraft were killed in the high-speed impact. The crash was Flydubai's first fatal incident in its eight-year history. The aircraft involved was a five-year-old Boeing 737-8KN, registeredas A6-FDN, MSN 40241, equipped with two CFM International CFM56 engines. 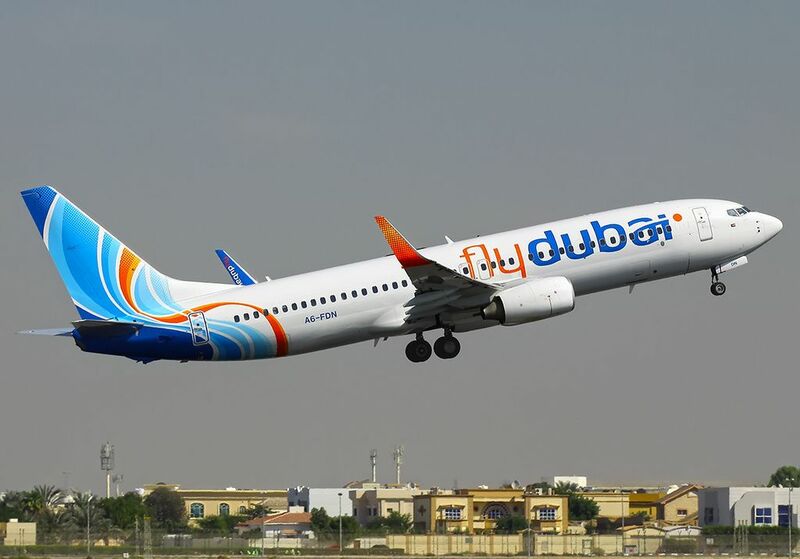 Its first flight was on 21 December 2010, and it was delivered to Flydubai on 24 January 2011. The aircraft had passed a C-grade maintenance check on 21 January 2016. The captain was 38-year-old Aristos Sokratous, from Cyprus. He had 5,965 hours of total flying time, with 5,000 hours being the minimum required for a captain at Flydubai. Sokratous was promoted to captain a year and a half before the crash. At the time of the crash, he was going to quit the airline after accepting a job from Ryanair, which would allow him to be based with his family in Cyprus. His wife was due to give birth to their first child a few weeks after the crash. The first officer, 37-year-old Alejandro Cruz Alava, was Spanish. He had 5,769 hours of flying time. He started his career with Flydubai two years before the crash, having flown before for two regional airlines in the Spanish Canary Islands, Binter and Naysa. Both pilots had experiences of landing at Rostov-on-Don airport. According to a source in the rescue team, the small radius of the expansion of debris and the small size of the debris parts, points out that the speed of the fall was more than 400 km/h, as even aircraft's magnesium wheel rims, its most solid part, were shattered. This speed assessment matches the Flightradar24 data. According to the same source, the plane struck the ground at a nose-down pitch of about 60 degrees. Flight 981 carried fuel for 8 and a half hours of flight; until the time of impact, it had been airborne for 6:02. Most of the passengers were Russian citizens. Thirty of the passengers were tourists on a package tour from Natalie Tours, one of the biggest Russian tourist operators. Four of the passengers were children. The two Indian citizens, killed in the crash, were a young couple, employed at an Ayurveda resort in Russia. Both flight recorders were recovered from the crash site. They were significantly damaged. In light of the disaster, the Governor of Rostov Oblast, Vasily Golubev, announced that the government would pay 1 million rubles (about $15,000 USD) to the families of the dead. The day after the crash has been designated as a day of mourning in the region." "Egypt Air Flight 804 was an international passenger flight from Paris Charles de Gaulle Airport to Cairo International Airport, operated by EgyptAir, that went missing over the Mediterranean Sea on 19 May 2016 at 02:30 Egypt Standard Time. No emergency call was received by air traffic control prior to the disappearance. Egyptian authorities announced later that day that wreckage believed to be that of the aircraft was found approximately 50 miles southeast of the airliner's last known position, near the Greek island of Karpathos. However, this was disputed by Greece's lead air accident investigator, and later, EgyptAir officials retracted the claim that the wreckage of MS804 had been found. There were 66 people on board: 56 passengers, 7 aircrew and 3 security personnel. It is currently unknown if any of them survived. A multinational search and rescue operation is under way. According to Greek military radar data, Flight 804 veered off course shortly after entering the Egyptian Flight Information Region (FIR). At an altitude of 37,000 feet, the aircraft made a 90-degree left turn, followed by a full circle right turn, and then began to descend. Radar contact was lost at an altitude of about 10,000 ft. 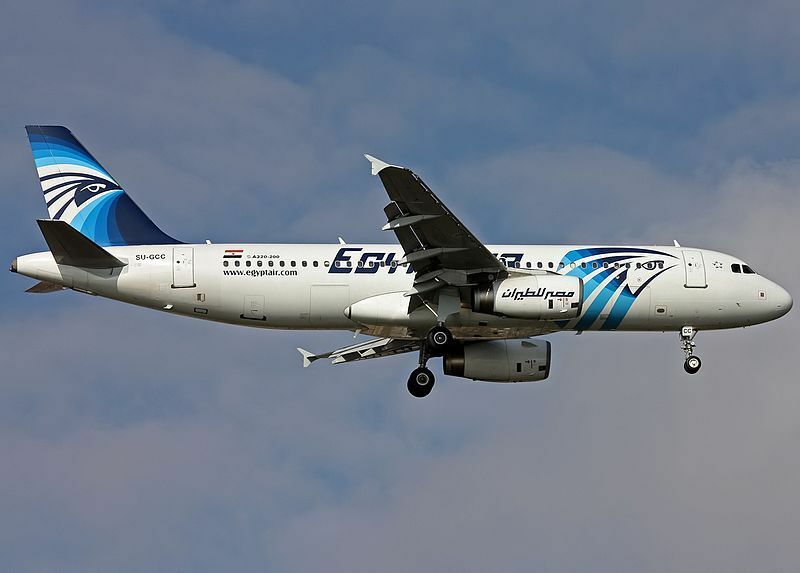 The aircraft involved was an Airbus A320-232, registration SU-GCC, MSN 2088. Its first flight was on 25 July 2003 and it was delivered to EgyptAir on 3 November 2003. Routine maintenance checks on the aircraft were carried out on 18 May in Cairo, before it left for Paris, an airline official said. It was flying at 37,000 ft in clear weather when it disappeared 170 miles north of the Egyptian coast, and about the same distance from the island of Kastellorizo, over the eastern Mediterranean on 19 May 2016 at 02:30. The aircraft was lost 3 hours 25 minutes into the flight. The aircraft was due to land at 03:05. Though it was originally reported that a distress signal from emergency devices was detected by the Egyptian military at 04:26, two hours after the last radar contact, officials later retracted this statement." "LaMia Flight 2933 was a charter flight of an Avro RJ85, operated by LaMia, that crashed in Colombia shortly after 22:00 local time on 28 November 2016, killing 71 of the 77 people on board. The aircraft was transporting the Brazilian Chapecoense football squad, including 22 players, 23 coaching and other club staff, 2 guests and 21 journalists, from Viru Viru International Airport in Santa Cruz de la Sierra, Bolivia, to José María Córdova International Airport in Colombia. The team was en route to play the first leg of the 2016 Copa Sudamericana Finals inMedellín, against Colombian team Atlético Nacional. Two of the nine crewmembers, three of the players and one journalist survived. The pilot's report of lack of fuel, as well as the distance between the origin and destination airports being near or exceeding the maximum rated range of the Avro RJ85, contribute to speculation that fuel exhaustion is a cause of the accident. The aircraft was an Avro RJ85, registration CP-2933, serial number E.2348, which first flew on 26 March 1999. After service with other airlines and a period in storage between 2010 and 2013, it was acquired by LaMia, a Venezuelan-owned Bolivian airline. he aircraft was carrying 68 passengers and 9 crew members on a flight from Viru Viru International Airport, in the Bolivian city of Santa Cruz de la Sierra, to José María Córdova International Airport, serving Medellín in Colombia and located in nearby Rionegro. Among the passengers were members of the Brazilian Associação Chapecoense de Futebol who were travelling to play their away leg of the Final for the 2016 Copa Sudamericana in Medellín against Atlético Nacional. The surviving players were Alan Ruschel, Jakson Follmann and Neto. The other survivors were a journalist and two members of the flight crew. One of the surviving crew members, an employee of a Bolivian company contracted by LaMia to provide maintenance technicians to accompany the aircraft on its flights, said that there was no announcement by the pilots that there was an emergency and that he had thought the aircraft was simply descending. Team goalkeeper Danilo initially survived the crash; he was able to telephone his wife, but later died after he was taken to a hospital. "Pakistan International Airlines Flight 661, was a domestic passenger flight from Chitral to Islamabad that crashed near Havelian on 7 December 2016. There were forty-two passengers including two sky marshals and one aircraft engineer and five crew aboard the aircraft, an ATR 42-500 operated by Pakistan International Airlines. All 47 people on board died, including singer-turned-preacher and entrepreneur Junaid Jamshed, and the Deputy Commissioner of the District of Chitral. The aircraft involved in the accident was an ATR 42-500, serial number 663, registration AP-BHO. It had its first flight in 2007 and was delivered new to Pakistan International Airlines. In 2009, the aircraft was damaged during a landing attempt at Lahore, but was subsequently repaired and returned to service. It sustained an engine failure in 2014, but the engine was replaced and no further problems were reported. By the time of the crash, it had recorded 18,739 flight hours since joining PIA's fleet and had last undergone certification in October 2016. Two days after the crash, another PIA pilot reportedly refused to fly an aircraft with a faulty engine. This was after several reports that PIA had a history of neglecting problems and of operating poorly overall as an airline. PIA responded that "it defies common sense that pilots and engineers would fly an aircraft that does not meet safety standards and risk their own lives." 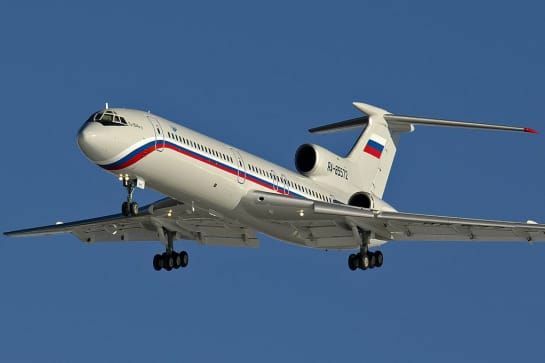 ​"On 25 December 2016, a Russian Defence Ministry Tupolev Tu-154 crashed during a flight from Sochi International Airport, Russia, to Khmeimim, Syria. All 92 people on board were killed. The aircraft involved was a Tupolev 154B-2, which had been in operation since 1983. The aircraft crashed shortly after take-off from Sochi International Airport, Russia, for Khmeimim Air Base, Syria. The flight took off with 92 people on board at 05:27 local time from the Black Sea resort of Sochi and was bound for Syria. Of the 92 passengers and crew on board, 64 were members of the Alexandrov Ensemble, the official choir of the Russian Armed Forces, including its director Valery Khalilov. The members of the Ensemble were traveling from Moscow to the Russian military base at Khmeimim near Latakia, Syria, to take part in New Year celebrations. The passengers list also included Russian humanitarian worker Elizaveta Glinka, the Director of the Department of Culture for the Russian Ministry of Defence Anton Gubankov, eight military troops, nine journalists, two civilian officials, and an employee from an international humanitarian organization. The aircraft crashed into the Black Sea 1 mile from the coastline. Wreckage was found at a depth 160 to 230 ft. The bodies of 10 people were recovered from the site. Immediately after the crash, the Investigative Committee of Russia launched a criminal case to probe the cause of the crash. Russian officials have downplayed the possibility of a terrorist attack as the cause of the incident focusing more on the possibility of mechanical or human error, however they have been criticized because people believe that a malfunction on board would have been reported by crew and the failure to report any malfunction had lead to suspicion. President Vladimir Putin said Russia will observe a national day of mourning on 26 December 2016." "On 11 April 2018, an Ilyushin Il-76 military transport aircraft of the Algerian Air Force crashed shortly after take-off from Boufarik Airport, Algeria. All 257 people on board were killed, making the incident the deadliest air crash in Algerian history, surpassing the crash of Air Algérie Flight 6289 in 2003. The crash was also the deadliest aviation disaster since Malaysia Airlines Flight 17 was shot down in 2014. 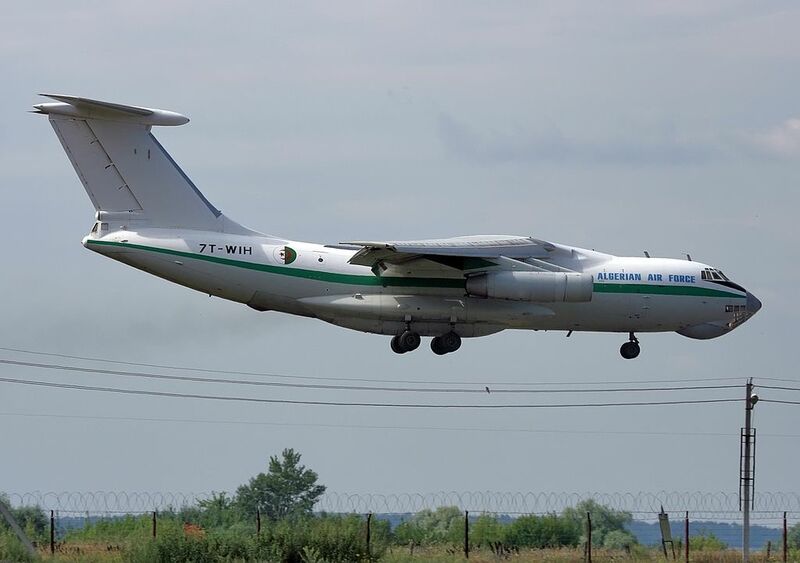 The accident aircraft was an Ilyushin Il-76TD of the Algerian Air Force. The aircraft had been in operation since its maiden flight in 1997, was registered 7T-WIP, and its msn was 1043419636. Shortly prior to 08:00 local time, the aircraft caught fire and crashed shortly after take-off from Boufarik Airport, Boufarik, near Blida, in an area southwest of the capital, Algiers. The flight had a final destination of Tindouf Airport, Tindouf, with a stopover in Boudghene Ben Ali Lotfi Airport, Béchar. All ten crew and 247 passengers on board were reported to have been killed. Amongst the passengers were members of the Algerian People's National Army and members of their families. Thirty Saharawi civilians from the refugee camps in Tindouf were among the dead according to officials of the Saharawi Republic. They had been visiting Algiers for various medical and bureaucratic reasons. Saharaw is from the refugee camps are regularly provided with free flights in Algerian military transport aircraft. Meanwhile, a senior member of the National Liberation Front, the governing party of the National Assembly in Algeria, stated that 26 Polisario Front members were amongst the casualties, lending credence to this claim. Witnesses to the incident have reported that the wing of the aircraft had caught fire prior to the crash. Local authorities dispatched fourteen ambulances, ten fire appliances and 130 personnel to attend to the crash site. As a result of the crash, the road between Boufarik and Blida was temporarily closed to traffic. Following the incident, Abdelaziz Bouteflika, the President of Algeria, ordered three days of national mourning, echoing his reaction to the 2014 military air crash. For his part, Brahim Ghali, the President of the Saharawi Arab Democratic Republic, ordered seven days of national mourning. Following the crash, Ahmed Gaid Salah, Chief of Staff of the Algerian Army, ordered an investigation to determine the cause of the incident." ​"Southwest Airlines Flight 1380 (WN1380, SWA1380) was a regularly scheduled United States domestic passenger multi-city flight operating from New York-LaGuardia Airport to San Francisco with intermediate stops in Dallas, New Orleans, Oakland, Reno, and Las Vegas. At approximately 11:03 a.m. EDT on April 17, 2018, on the first segment of the flight, the #1, port-side engine of the twin-engine Boeing 737-700 operating the route explosively failed. The pressurized aircraft fuselage was breached and it experienced rapid depressurization. The pilots quickly brought the aircraft to a lower altitude, diverted and made an emergency landing at Philadelphia International Airport at about 11:20 a. m. The National Transportation Safety Board stated that the aircraft may have experienced an in-flight uncontained engine failure; however, an official determination has not yet been made. There was one fatality confirmed by the NTSB. 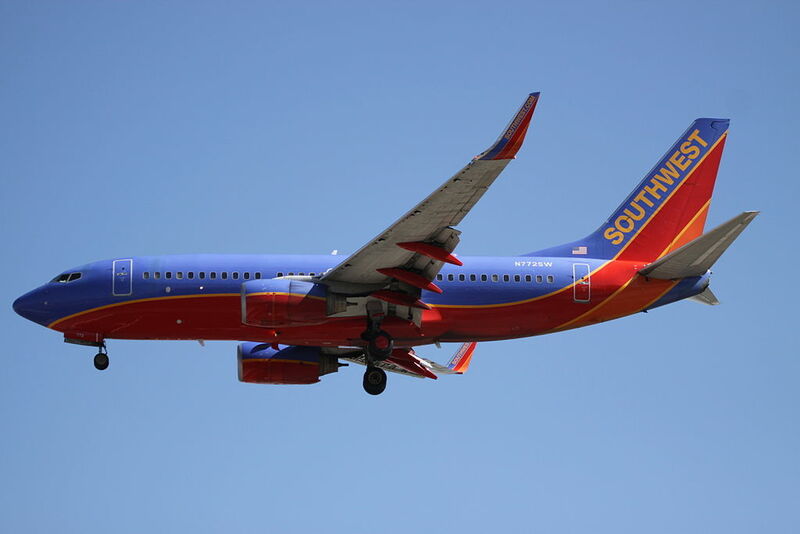 The aircraft involved was a Boeing 737-700, registration N772SW, serial number 27880. The aircraft's first flight was on June 26, 2000. It was equipped with two CFM International CFM56-7B24 turbofan engines. The engine that failed had been in service for about 40,000 flights, about a quarter of them since its last overhaul. The flight was scheduled to travel between LaGuardia Airport in New York and San Francisco in California with multiple stops. The accident occurred on the first segment of the flight to Dallas Love Field. United States Navy veteran and ex-fighter pilot Tammie Jo Shults was the captain of the flight. Darren Ellisor, a United States Air Force veteran, was the co-pilot on the flight. Engine debris reportedly struck the aircraft fuselage, causing a cabin window to crack and fail due to the pressure difference between the cabin and air at high altitude. News sources speculate that the window was struck directly by parts from the engine failure. News reports also described chaos and screaming in the passenger cabin, with passengers attempting to post live social media updates as the events unfolded. According to statements by passengers, the passenger in the seat next to the failed window was partially ejected or "sucked out" of the cabin by the explosive decompression resulting in the top half of her torso being outside of the fuselage. Other passengers pulled her back into the cabin and attempted to plug the hole in the fuselage where the window used to be using jackets and other items. This was not successful, and these items were ejected from the aircraft. The victim, Jennifer Riordan, a Wells Fargo Bank vice president from Albuquerque, New Mexico, was critically injured and died in hospital later that day. Peggy Phillips, a retired nurse, and Tim McGunty, an emergency medical technician, began CPR on Riordan. The CPR was continued for 20 minutes until landing. The coroner later reported that the cause of death was blunt force trauma to the head, neck, and torso." ​"On May 18, 2018, Cubana de Aviación Flight 972 (CU-972) lost altitude shortly after takeoff from José Martí International Airport and crashed near the airport, bursting into flames. The aircraft impacted 6.2 miles from the airport, near Santiago de las Vegas, about 12 miles from the city center of Havana. 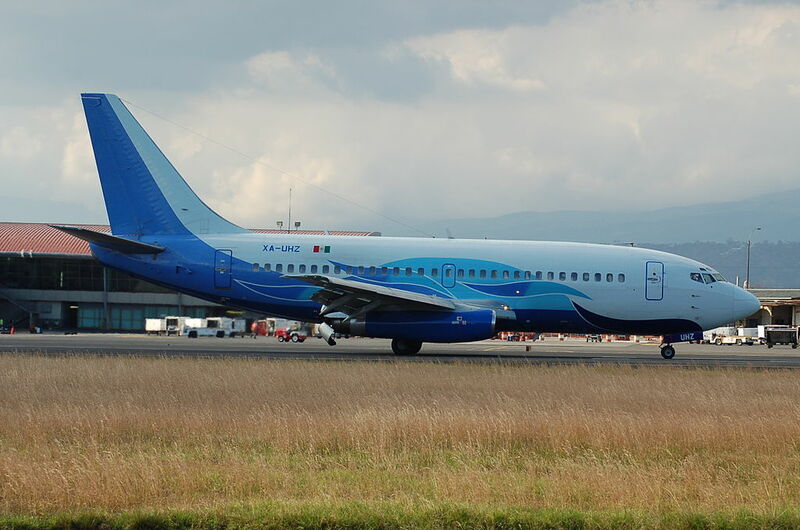 The aircraft was a leased Boeing 737-200 Global Air flight, operating on a scheduled domestic flight on behalf of Cubana de Aviación, from Havana to Holguín. The Boeing 737-200 aircraft was manufactured in July 1979 and was 38 years old. A statement by Global Air said that its aircraft had passed a November 2017 government inspection, and that it was up-to-date with its permits to operate and lease aircraft. CU-972 was on a domestic flight to Frank País Airport at Holguín in the east of Cuba. It was carrying a total of 113 people, 104 passengers and nine crew. The flight, taking off shortly after 12:00 pm local time, crashed at 12:08pm, about 6.2 miles from the airport. The plane crashed into a government-owned farm and did not impact anyone on the ground. A fire had erupted from the wreckage, and witnesses from the airport reported seeing clouds of smoke from the crash site. First responders including firefighters and emergency medical crews rushed from Havana to the scene to initiate rescue efforts. José Martí International Airport was temporarily shut down following the crash, but reopened later that afternoon. Of the 113 on board, three female passengers survived the crash, all of whom are in critical condition. One male passenger had survived the crash but died later at the hospital. President Miguel Díaz-Canel, Health Minister Roberto Morales, and other local authorities arrived at the site to observe and monitor the rescue efforts. Family and relatives of those aboard also gathered at the site and later taken to the airport. The crash is the first major commercial aircraft crash in Cuba since Aero Caribbean Flight 883 in 2010, while a military-operated Antonov AN-26 crashed in 2017." "On August 10, 2018, a Horizon Air Bombardier Dash 8 Q400 was stolen from Seattle–Tacoma International Airport ("Sea–Tac") in SeaTac, Washington. The perpetrator, 29-year-old Richard Russell, was a Horizon Air ground service operator with no piloting experience. He performed an unauthorized takeoff and flew southward as two F-15 fighter jets were scrambled to intercept the aircraft. Sea–Tac air traffic control made radio contact with Russell, the sole occupant, who was ultimately killed when the aircraft crashed on the lightly populated Ketron Island in Puget Sound. The incident aircraft was a Bombardier Dash 8 Q400, owned by Horizon Air servicing Alaska Airlines, with the registration N449QX, and msn 4410. It had first flown in 2012 and was delivered new to Horizon Air later that year. The same aircraft landed at Seattle–Tacoma International Airport at 13:35 local time after an in-service flight from Victoria, British Columbia. The aircraft was stolen from a maintenance position at Sea–Tac airport and maneuvered to runway 16C via taxiways. Seattle Tower tried several times to get the aircraft to identify itself on frequency; there was no response. A nearby Alaska Airlines jet on the ground reported that the aircraft had begun a takeoff roll with its wheels smoking, and an unauthorized take-off was made at 19:32 local time. In response, two McDonnell Douglas F-15 Eagles of the Oregon Air National Guard's 142nd Fighter Wing under the command of NORAD were scrambled from Portland Air National Guard Base to intercept it, both going supersonic and generating sonic booms in their haste. Flights in and out of the airport were temporarily suspended. The Q400 ultimately crashed on Ketron Island in Pierce County, Washington, killing the occupant and destroying the aircraft. The crash happened about an hour after the aircraft had taken off from Sea–Tac; a tow boat crew was the first to respond. Firefighters from West Pierce Fire and Rescue and other nearby departments arrived on the island approximately 1.5 hours after the crash, due to waits for the Steilacoom–Anderson Island ferry, and contending with thick brush when crews arrived on scene. The fire was suppressed by a lack of wind and dry brush, and was extinguished by the following morning. The Pierce County Sheriff's Office both thanked the public for its accurate information, and acknowledged on Saturday that federal agencies would be leading the investigation, primarily the Seattle office of the Federal Bureau of Investigation. It had described the perpetrator as suicidal and said his actions did not constitute a "terrorist incident." Alaska Air Group CEO Brad Tilden announced on the same day that the airline was coordinating with the Federal Aviation Administration, the FBI, and the National Transportation Safety Board, and was "working to find out everything we possibly can about what happened." The FBI said in a statement that “We are going to be thorough, which means taking the time needed to scour the area, delve into the background of the individual believed responsible, and review every aspect of this incident with all appropriate public and private partners." On August 12, the FBI said that it had recovered the flight data recorder along with "components" of the cockpit voice recorder. The equipment was sent to the National Transportation Safety Board for processing. Law enforcement officials identified the perpetrator as 29-year-old Richard Russell, a Horizon Air ground service operator from Sumner, Washington. He had been part of a tow team, which repositions aircraft on the airport apron, for about four years. An operational supervisor for Horizon Air described Russell as "a quiet guy" who was "well liked by the other workers." According to a blog Russell maintained until December 2017, he was born in Key West, Florida, and moved to Wasilla, Alaska, at the age of seven. He often used the name "Beebo Russell" on social media. He had been married since 2012; he met his wife in 2011 at a Campus Crusade for Christ meeting at Southwestern Oregon Community College. Together they started a bakery in North Bend, Oregon. He was an avid traveler and attended Washington State University Global Campus from 2016 to 2017, majoring in social science. He had planned to seek a management position at Horizon Air or become a military officer after receiving his degree. CEO of Horizon Air Gary Beck stated that, as far as the company knew, Russell did not have a pilot's license. Beck said the aerial maneuvers were "incredible" and that he "did not know how [Russell] achieved the experience that he did." During his conversation with air traffic control, Russell said he knew how to fly a plane as he had a lot of experience with playing video games. His family, in a statement read by a family friend, said that they were "stunned and heartbroken" and "devastated by the events." ​"Lion Air Flight 610 was a scheduled domestic passenger flight operated by the Indonesian airline Lion Air from Soekarno–Hatta International Airport in Jakarta to Depati Amir Airport in Pangkal Pinang that crashed 13 minutes after takeoff on 29 October 2018. Wreckage from the Boeing 737 MAX 8 aircraft was found in the Java Sea, off the coast of Java. Officials concluded that all 189 passengers and crew are dead. It is also the deadliest air crash involving a 737 surpassing the 2010 Air India Express Flight 812. The aircraft involved was a Boeing 737 MAX 8, registration PK-LQP, manufacturer's serial number 43000, powered by two CFM International LEAP engines. It had been delivered brand new to Lion Air on 13 August 2018 and flown to Indonesia two months before the accident. At the time of the accident, the aircraft had flown about 800 hours in service. This is the first accident involving a 737 MAX since the type's entry into service on 22 May 2017. According to Indonesian officials, there were 189 people on board the aircraft: 181 passengers, 178 adults, a child and two babies, as well as, six cabin crew and two pilots. Lion Air identified the flight's captain as an Indian national who had flown for the airline for more than seven years and had logged about 6,000 hours of flight time; and the copilot as an Indonesian who had logged about 5,000 hours of flight time. Twenty Ministry of Finance employees, ten Audit Board of Indonesia employees, two auditors from the Finance and Development Inspection Agency (id), seven Bangka Belitung Regional People's Representative Council members, three public attorneys, and three judges of Indonesia's High Court and National Court were among the passengers. There were two confirmed foreigners among those on board: the pilot from India and an Italian citizen, former professional cyclist Andrea Manfredi. The flight took off from Jakarta on 29 October 2018 at 6:20 a. m. local time and was scheduled to arrive at Depati Amir Airport in Pangkal Pinang at 7:20 a.m. It took off in a westward direction before circling around to a north easterly heading, which it held until crashing offshore at about 6:33 a. m. northeast of Jakarta in waters estimated to be up to 115 ft deep. The aircraft reached a maximum altitude of about 5,000 feet before descending and climbing several times until its final transmission showed it at an altitude of about 3,650 feet with a speed of 397 mph. According to an official at Pangkal Pinang's search and rescue office, the flight crew had requested clearance to return to the Jakarta airport at some point during the flight. The accident site was located 34 nautical miles off the coast of the Karawang Regency on the island of Java. A search and rescue operation was deployed by the Indonesian National Search and Rescue Agency with assistance from the Indonesian Air Force. Basarnas dispatched about 150 people in boats and helicopters to the site of the accident. Civilian vessels also responded to the reports of a downed aircraft, and the crew of a tugboat reported to authorities in Tanjung Priok that they had witnessed an aircraft crash at 6:45 a. m. and located debris in the water at 7:15 a. m. Debris believed to be from the aircraft was found near an offshore production platform near the accident site. A spokesperson for the agency confirmed to reporters that the aircraft had crashed, though as of about 9:00 a.m. a Tanjung Priok official said that no information had emerged about the condition of the people on board. Muhammad Syaugi, head of Basarnas, later confirmed that there had been casualties, without specifying a number. By the end of the day, authorities said that all on board were presumed dead and that the first human remains had been recovered. Divers had located fragments of the aircraft's fuselage and assorted debris, but had yet to find the onboard flight recorders. The chief executive officer of Lion Air, Edward Sirait, said the same aircraft had reported a "technical issu"” on Sunday night, but had been cleared to fly on Monday. He said he would not ground the nine other MAX 8 aircraft in Lion Air’s fleet." "Ethiopian Airlines Flight 302 was a scheduled international passenger flight from Addis Ababa Bole International Airport to Jomo Kenyatta International Airport in Nairobi, Kenya. On 10 March 2019 the aircraft, a Boeing 737 MAX 8, crashed near the town of Bishoftu in Ethiopia with no survivors. 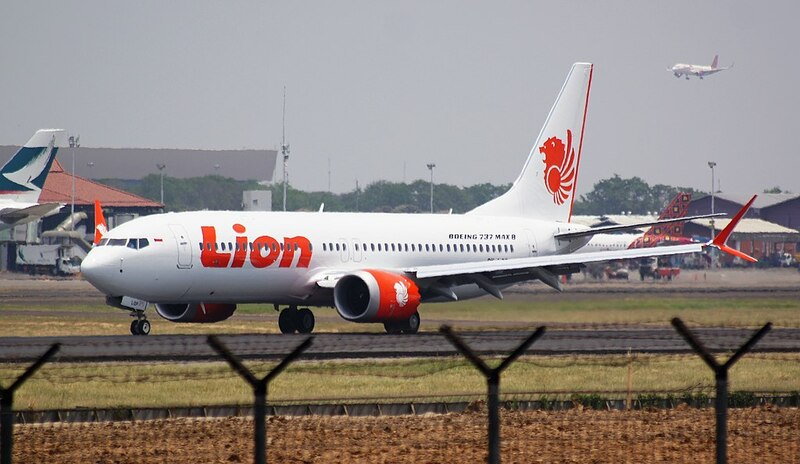 The accident marks the second time in less than a year that a Boeing 737 MAX 8 has been involved in an airline disaster, following the crash of Lion Air Flight 610 shortly after takeoff from Jakarta, Indonesia, in October 2018. The crash is the deadliest aircraft accident in Ethiopian Airlines history, surpassing the hijacking and subsequent crash of Ethiopian Airlines Flight 961 off Comoros in 1996. Flight 302 was a scheduled international passenger flight from Addis Ababa to Nairobi. The plane, a Boeing 737 MAX 8, was carrying 149 passengers and 8 crew. After the pilot reported that there was a problem and he wished to return to Addis Ababa, the aircraft disappeared from radar and crashed at 08:44 local time, six minutes after taking off from Addis Ababa for Nairobi at 08:38 local time. The plane crashed near the town of Bishoftu, 62 kilometres (39 mi) south east of Bole International Airport. Photographs of the crash site show a large crater with only small pieces of wreckage. There were no survivors. he accident aircraft was a Boeing 737 MAX 8 registered ET-AVJ. c/n 62450, msn 7243. The air-frame was four months old at the time of the accident. The aircraft was manufactured in October 2018 and was delivered on 15 November 2018. 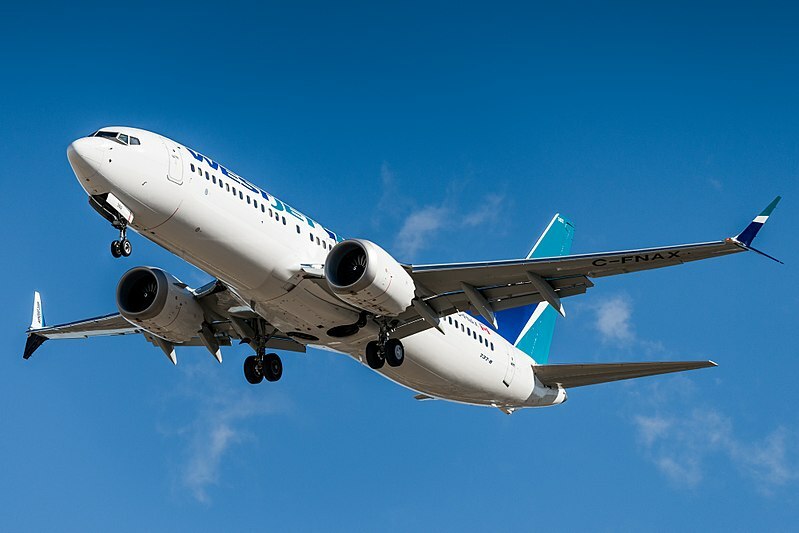 The Boeing 737 MAX 8 entered service in 2017 and had already been involved in one fatal crash before—the other was Lion Air Flight 610 in Indonesia in October 2018. As of January 2019, Boeing has produced 350 aircraft of this design. The 737 MAX 8 first flew on 29 January 2016, making it one of the newest aircraft in Boeing's range, and the newest generation of the Boeing 737. Amongst the 157 occupants there were 33 nationalities on board. It is probable that many of the passengers were travelling to Nairobi to attend the fourth session of the United Nations Environment Assembly. All passengers and crew on board were killed in the crash. Among the victims were the Italian archaeologist and Councillor for Cultural Heritage of Sicily,Sebastiano Tusa [it], and Canadian academic Pius Adesanmi. The Ethiopian Civil Aviation Authority is responsible for investigating civil aviation accidents in Ethiopia. The aircraft manufacturer Boeing stated that it is prepared to work with the United States National Transportation Safety Board and assist Ethiopian Airlines. The United States Federal Aviation Administration will also assist in the investigation."